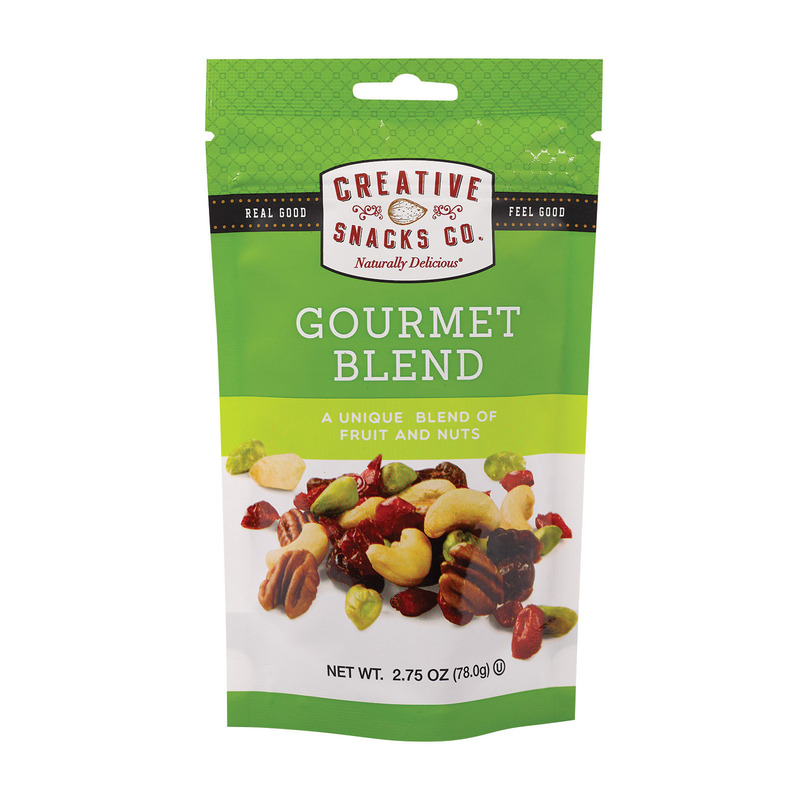 CREATIVE SNACKS CO. GOURMET BLEND IS A HEALTHY, TASTY SOLUTION TO YOUR SNACK CRAVINGS. 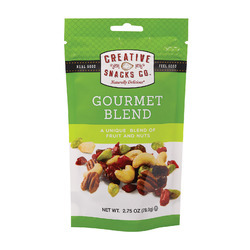 OUR NUTRITIOUS COMBINATION OF CRANBERRIES, CASHEWS, DRIED CHERRIES AND PISTACHIOS GIVES YOU A NATURALLY DELICIOUS GOURMET MIX IN EACH 3.5 OZ. BAG. OUR NUT AND FRUIT MIXTURE IS FREE OF ARTIFICIAL COLORS, FLAVORS AND PRESERVATIVES. SEE NUTRITIONAL PANEL FOR ALLERGEN INFORMATION.